Neste reached its highest-ever ranking by placing 2nd on the Global 100 list of the world's most sustainable companies. This is the 12th time that Neste is included on the list. The company has been included on the list for longer continuously than any other energy company in the world. Similarly to last year, Neste continues being the best performing company within the energy industry. Neste is preceded on this year's list only by Dassault Systemes, a software company from France. Neste's jump from the 23rd place in previous year all the way to the 2nd place this year was enabled particularly by the company's continued good overall performance, especially in Clean Air Productivity, measuring the air emissions of the company. Also, the introduction of a novel indicator, Green Revenue, has helped forerunner companies to differentiate. Neste's inclusion among the leading companies has been enabled by its business transformation towards renewable solutions. "Unlike in soccer or ice hockey, placing second on the Global 100 list is certainly considered a win, and we are very excited and humbled by the result. We wish to extend the congratulations also to all our employees and the external stakeholders, who have contributed to continuous improvement in our sustainability performance", President & CEO Matti Lievonen from Neste says. Neste makes its greatest sustainability contribution through refining high-quality renewable products, such as Neste MY Renewable Diesel, from low-quality waste and residues. The carbon handprint of its renewable products amounts to several million metric tons of greenhouse gas emissions saved each year. 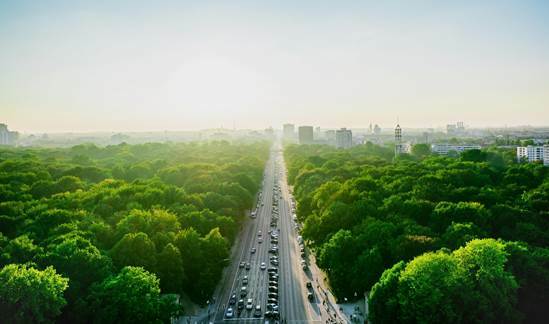 In 2016, replacing fossil products with Neste's renewable products reduced climate emissions by 6.7 million tons, equaling removal of 2.4 million passenger cars from the roads for a full year - twice the amount of cars in the city of Berlin, Germany, for example. Neste's carbon handprint for 2017 is still being calculated but the figure will be even higher. "We are determined to push ourselves and our partners even further. We have already made a significant impact in the area of decarbonizing transportation. We are now entering the aviation and chemicals sectors with the aim of making a similar climate contribution and by supporting their transformation processes", Lievonen adds. The approach of Global 100 is unique, as it assesses all publicly-listed companies with the latest gross revenue of a minimum of US$1 billion (approximately 5,900 companies were evaluated). All industries and geographies are automatically considered. Ranking is based on publicly-disclosed data. The Global 100 sticks to indicators that can be objectively measured - it does not try to gauge companies' exposure to qualitative sustainability risks. Thus, the evaluation is based on data, not judgment or reputation.